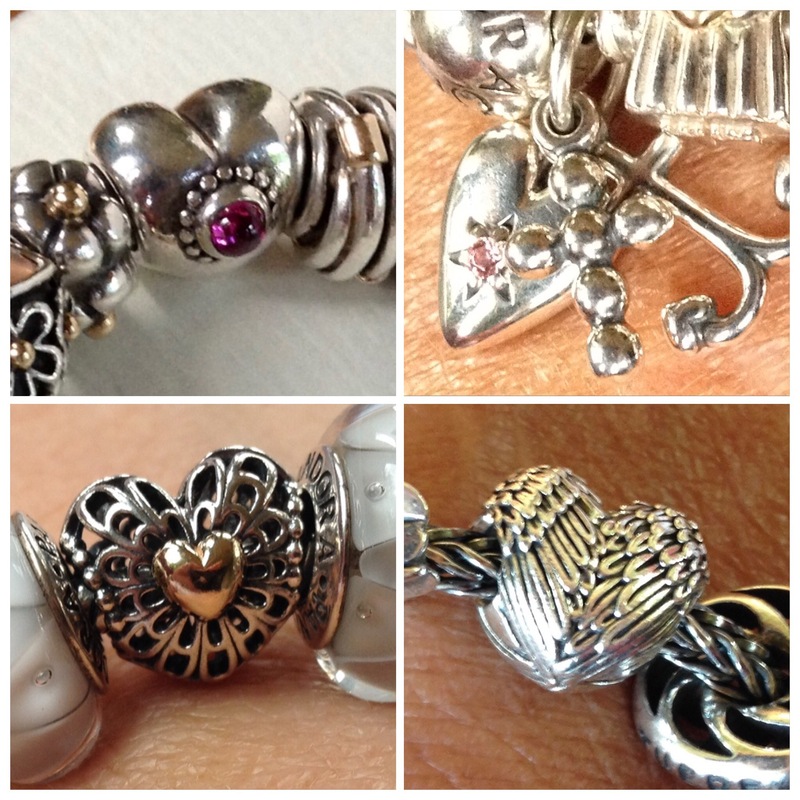 With Valentines day almost upon us, it’s very appropriate to take a look at my different heart beads. One of my very first hearts was the Pandora plain heart. This is on my Family bracelet. It is for my husband, next to the baby carriage for my son (also with heart!). 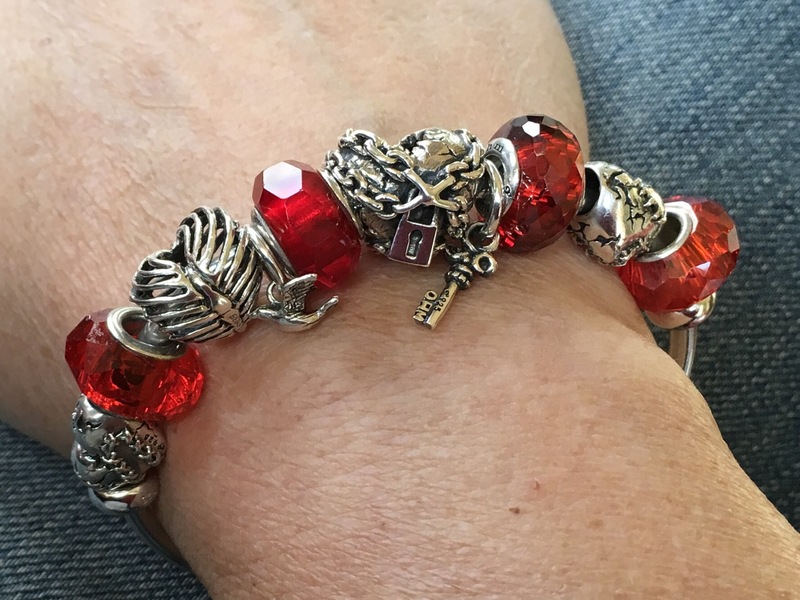 Now I look at this bracelet, it has many beads with hearts! 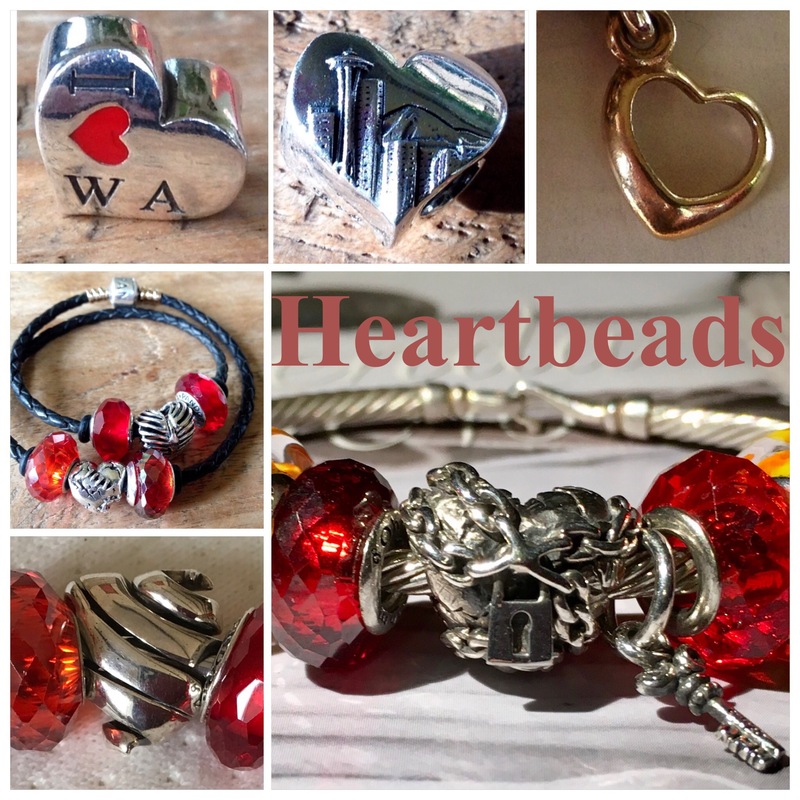 I love the two red enamel beads with the hearts. 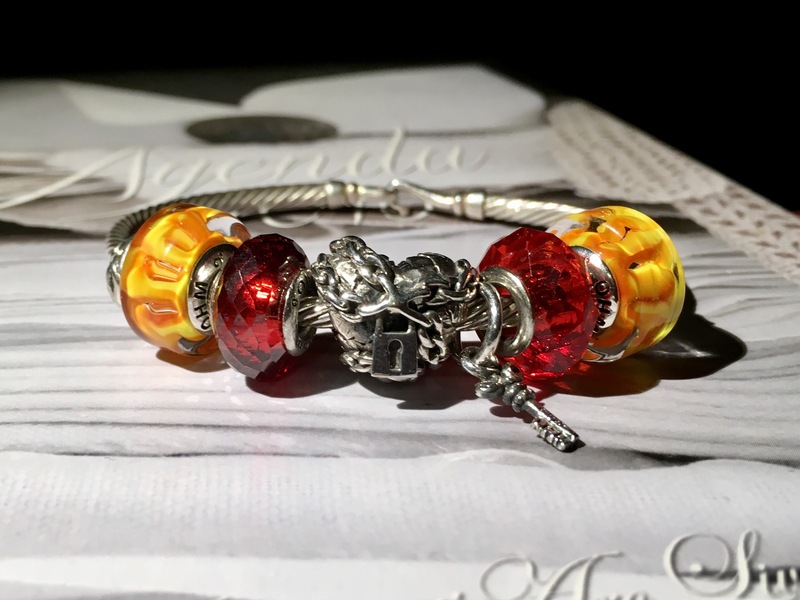 A very special bead with a red enamel heart on the back is the Pandora doghouse. 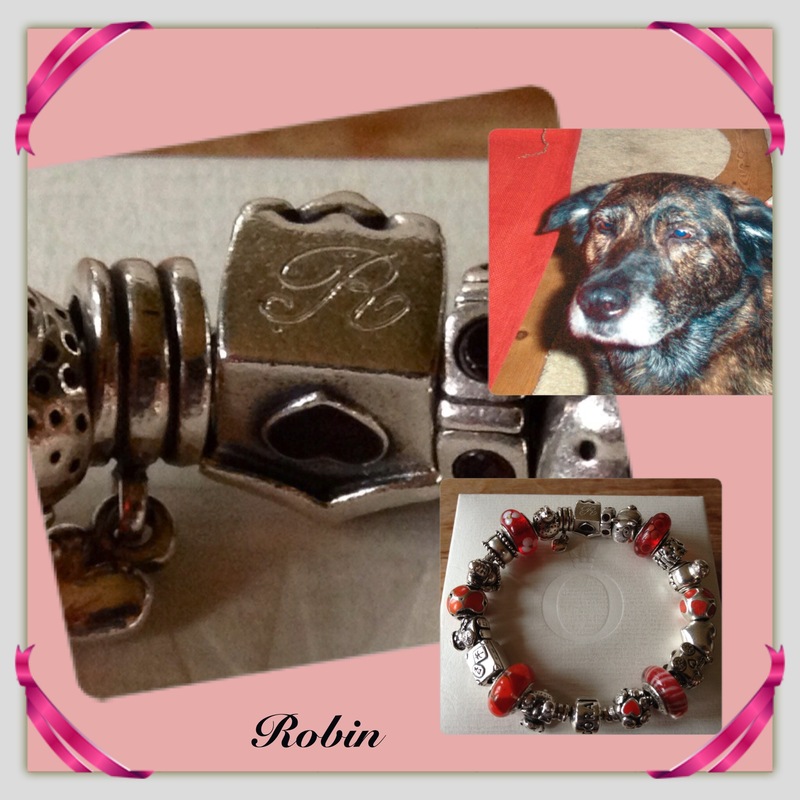 I got it to remember my dog Robin. I had the letter R engraved on the bottom. 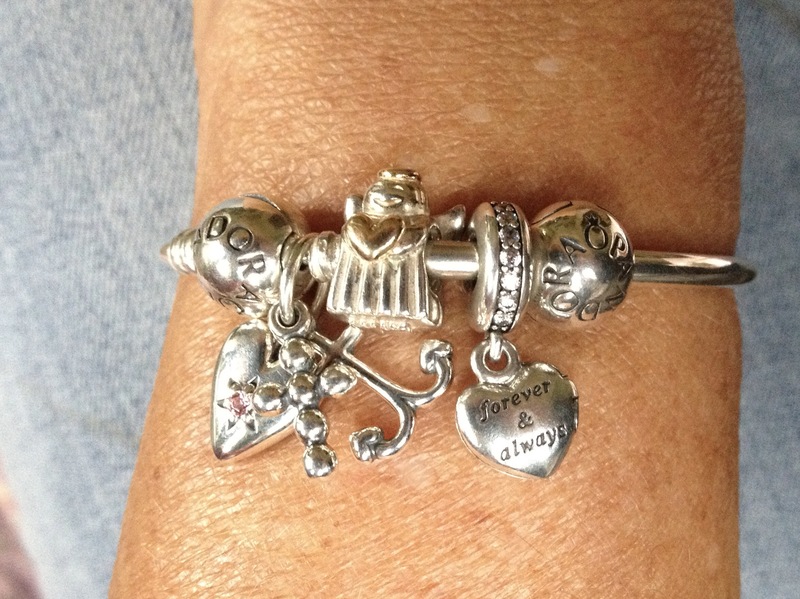 I finished this bracelet with the Family Ties, but later moved this bead to my Angels bracelet. 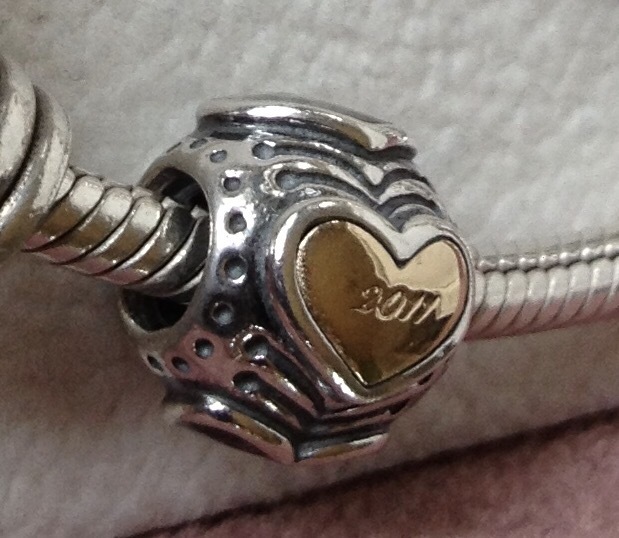 During my first visit to Seattle in 2012 (and my very first America trip) I was lucky to find the 2011 Pandora Black Friday bead. So specially imported by me! 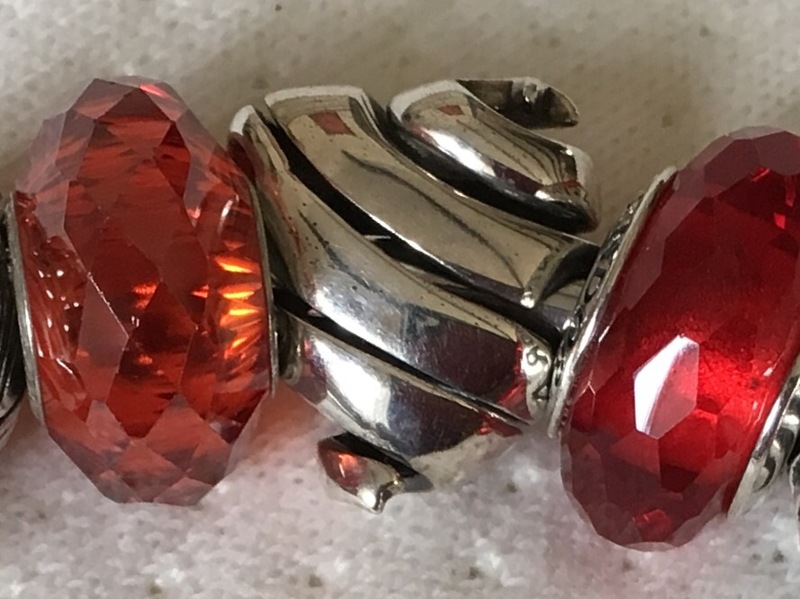 I love these special beads, I was very very lucky to find the Pandora Christ charm in a Christ jewellery store in Kaufhaus des Westen in Berlin! 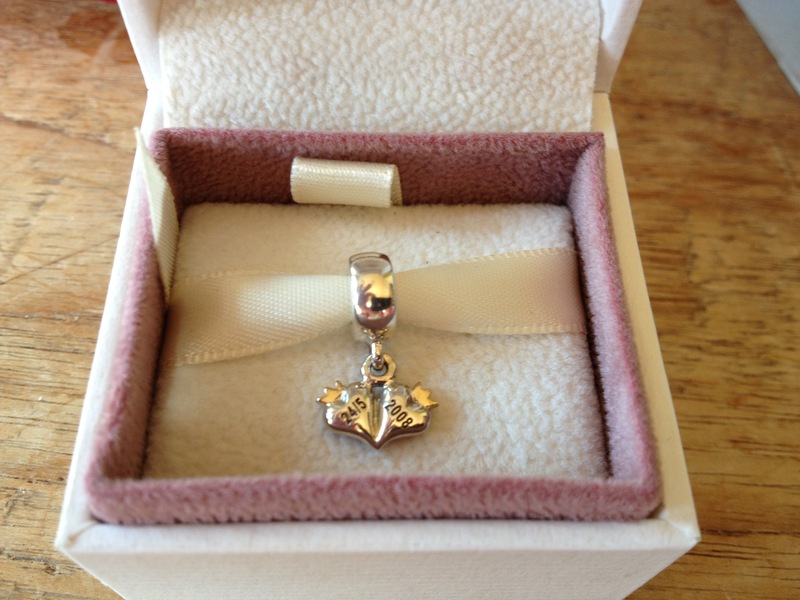 The grand prize of my Pandora hunting in Germany and Denmark was definitely the gold Family Ties. 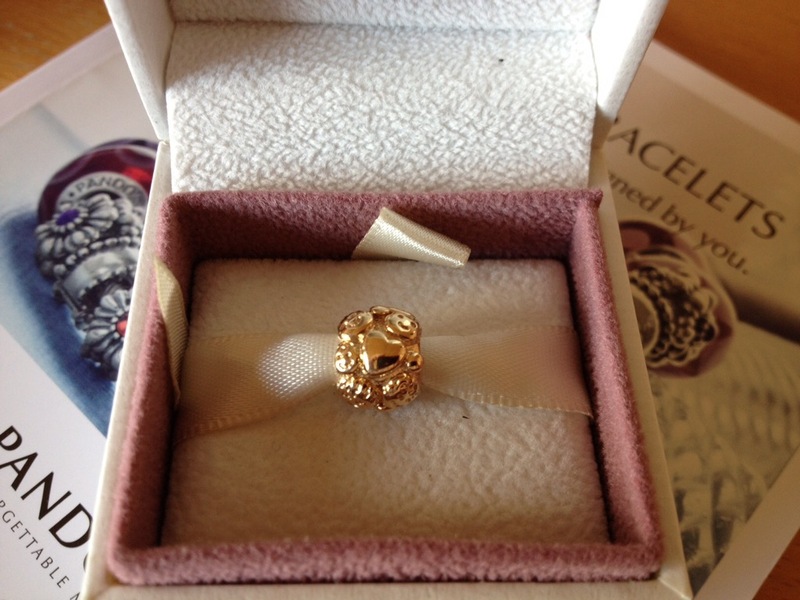 And the Pandora Royal Wedding charm, for the wedding of the second son of the Danish queen. It has the wedding date engraved on the back. 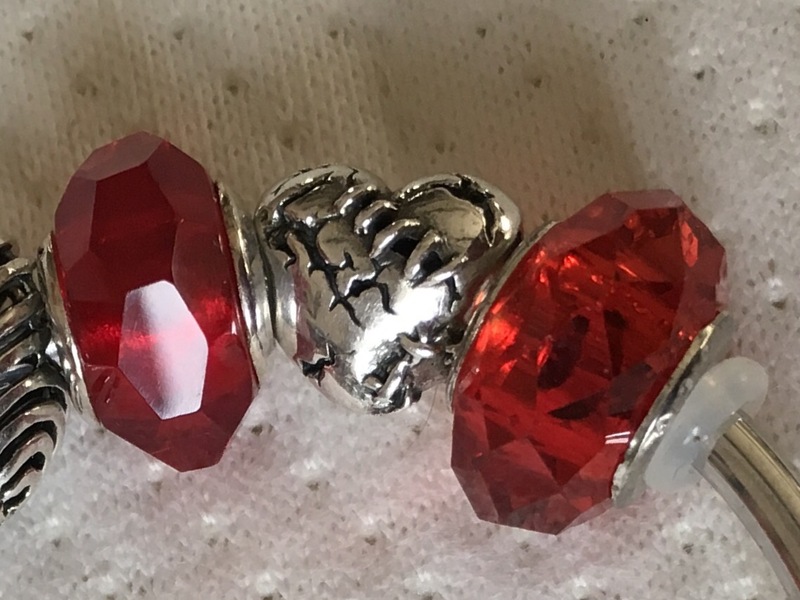 This bead has red enamel hearts on the front. Tiffany heart with Pandora heart bead. My most meaningfull hearts I already showed on my Angels bracelet, the Angel I received from an amazing group from the Pandora Angels Facebook page and the heart on the right with some of my brothers ashes. 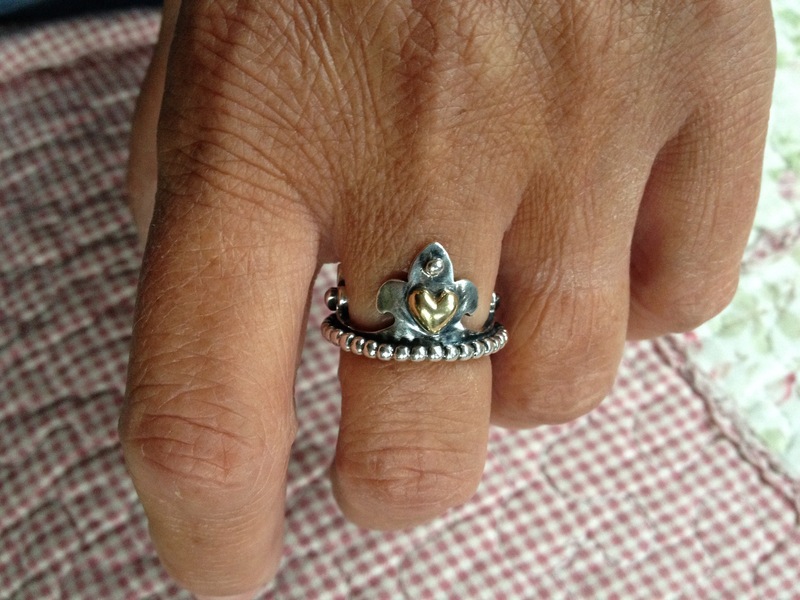 In my collection are also some Ohm beads hearts. The Love Hurts was the bead that got my attention to Ohm beads! I love the detail on this bead, with the stitches and patches. Never stop loving! 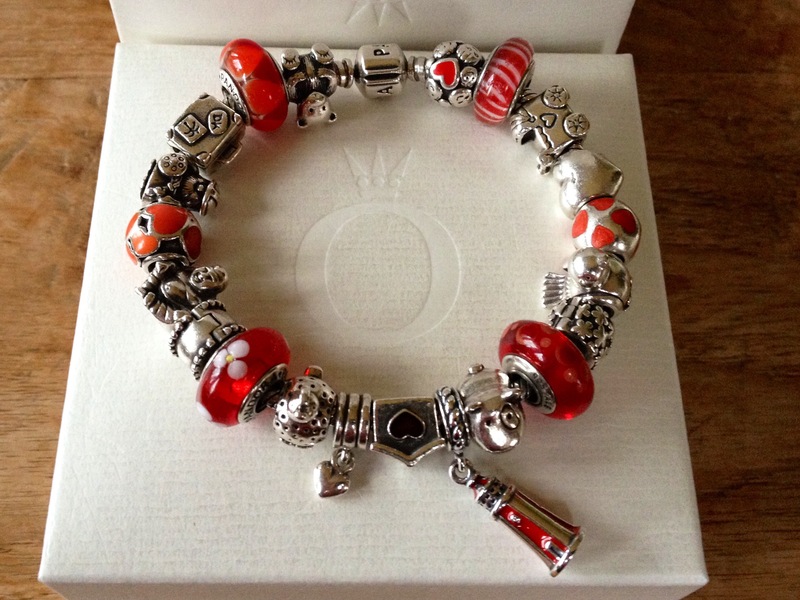 Ohm beads Cat in love! Such a cuty! 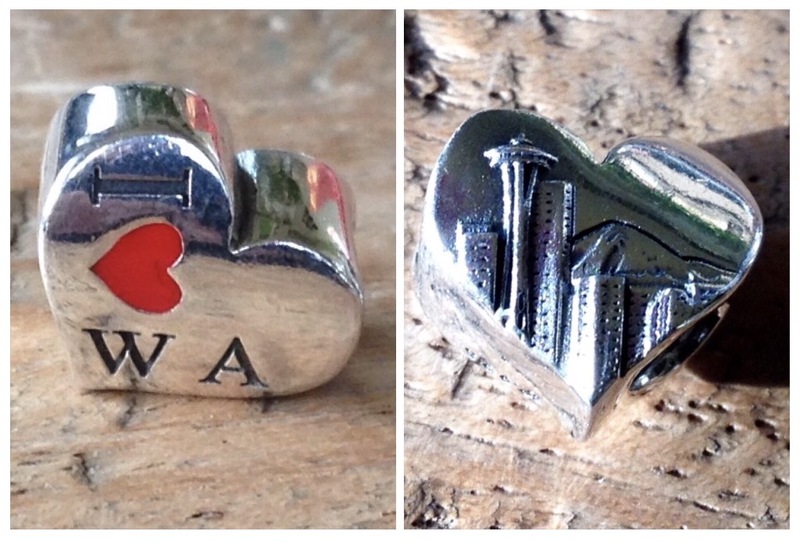 Ohm beads I ❤WA with the Seattle skyline on the back. Ohm beads Love Cage is one of my favourites. If you love someone let him free. 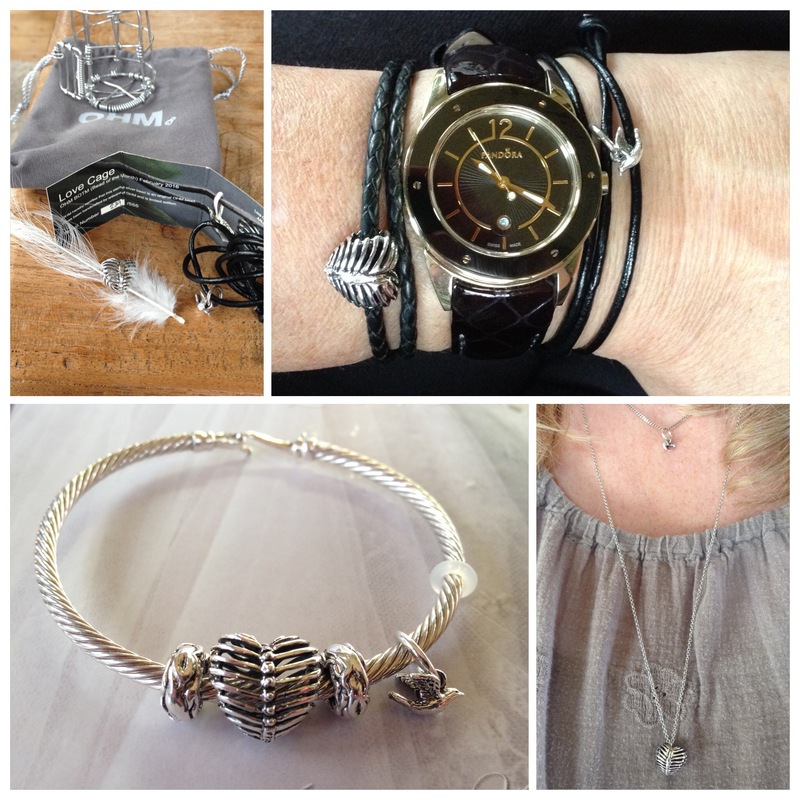 So many ways to use this bead and the little bird. 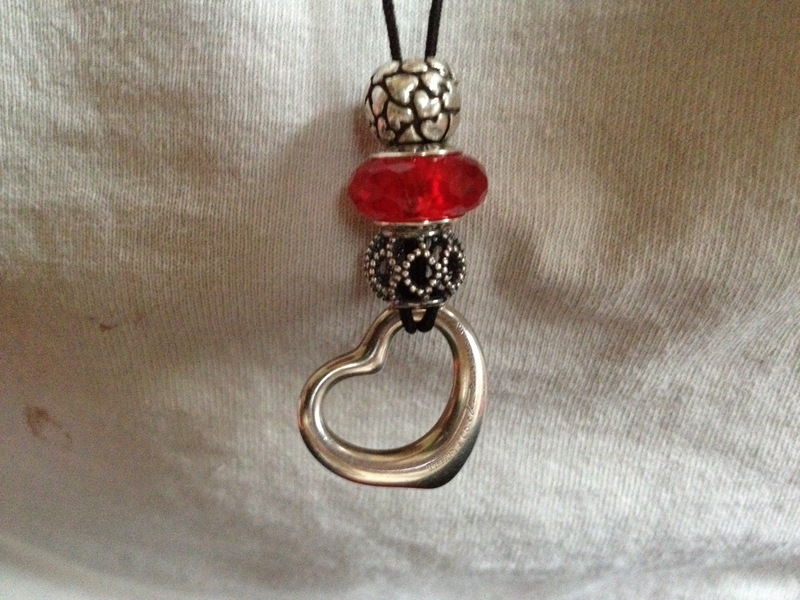 And the last heart I purchased during the Ohm beads meet and greet with Kit and Frank Ohm is the Open your heart. 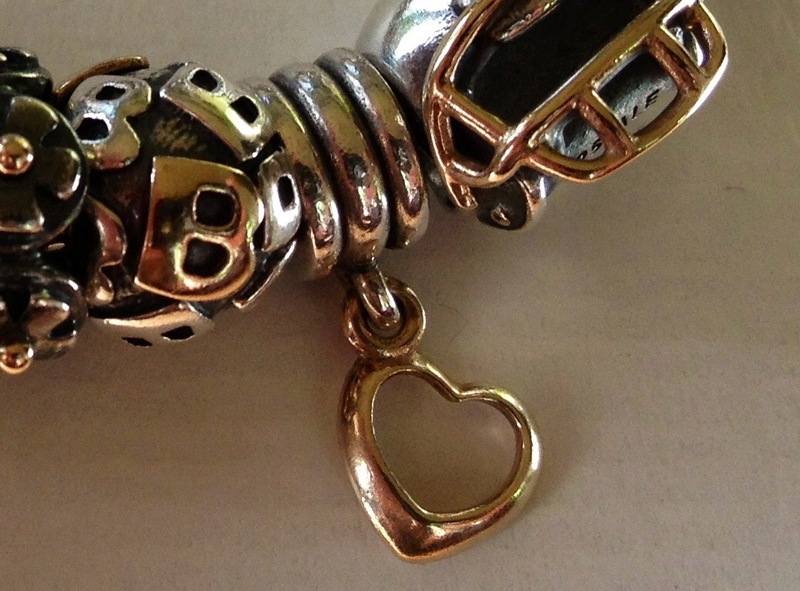 A beautiful two piece bead with a key and the lock is movable! So beautiful! I put my Ohm beads hearts together with Ohm beads faceted glass on a bangle. Wow, when I started this story I did not know I had so many hearts! I probably missed one or two. I love how this one symbol can be made into so many different beads! Thank you! I did not know I had such a big collection! Lol!